ServiceMaster Clean of Etobicoke is a leading provider of nightly housekeeping and janitorial services. 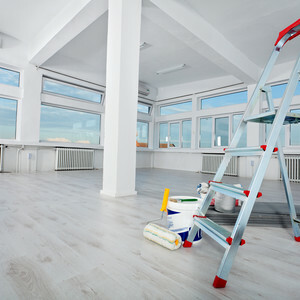 For over 30 years, our company has been providing cleaning services to businesses in Etobicoke and West Toronto. ServiceMaster Clean is a global industry leader in commercial cleaning, providing proprietary products and procedures to address the needs of the customer. Each of our cleaning programs is designed to satisfy your wants and needs in a customized and measureable package. At ServiceMaster Clean of Etobicoke, we firmly believe in simplifying and improving the quality of our customers’ lives. We know that clean, well-kept facilities help to enhance your corporate image and, in turn, create healthier environments for your employees and clients. Regardless of your service requirements or commercial cleaning needs, you are only a phone call away from enjoying an opportunity to see just how we can make your workday easier. Call or email us today to schedule an appointment. We look forward to hearing from you.